The sharpener is made in two pieces and held together with little magnets. 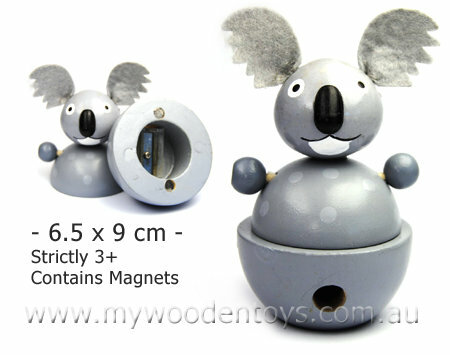 The inside of the koala is hollow so it can store all your sharpenings until you are ready to empty them. We like this because: "Lovely big felt ears.."